We are a prominent industry engaged in manufacturing, supplying and exporting a broad range of Industrial Vessels. Our performance in this domain include, making of the mentioned products as per the detailed specification given by our beloved patrons. The acceptability of our provided range are growing extensively as they are manufactured with the help of high grade raw material. We take these products pass through a quality check process in order to ensure their defect free nature , after the manufacturing process is done. Further, these offered products are manufactured in comply with the global parameters of standard. We are the most encouraging manufacturer and supplier of Pressure Vessels that are endowed with robust construction coupled with high durability. Adding to that, these vessels are numerously demanded followed by their excellent designs and smooth design. We are dedicated to deliver our best manufactured products to our clients. For that matter,, we have team of skilled professionals who work to meet the demands of our customers and our sincere service in this domain has facilitated us to emerge as one of the leading firm. We have been highly successful to enlist our firm as leading manufacturer and supplier of Reactor Vessels supported by the help of our skilled professionals. These given range of vessels have enormous applications in various industries owing to their unique feature. In tandem,we use optimum-grade raw material in collaboration with the modern technologies to manufacture this product so as to ensure it highly commendable for our clients. By virtue of its quality, offered vessels are highly admired among the patrons. 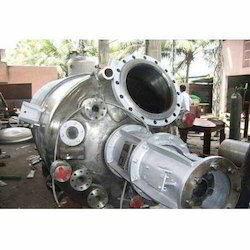 Backed by the rich experience and a competent team of professionals, we are able to offer Reactor Pressure Vessel. 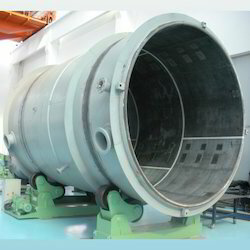 The offered range of reactor pressure vessel is suitably inspected in varied characteristics to ensure its adherence with the highest quality norms and standards. Along with this, the offered range of reactor pressure vessel is considered amongst the virtual reaction processing tools and is utilized for changing compounds to products according to the given chemical reaction.